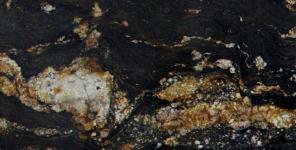 Our Collection Granite, Marble, Quartz, Gemstones ( prexious Stones ), Glass, Icestone, Onyx, Limestone, Travertine and much more. Innovate stones is a family owned business. We can get over 1000 colors in granite and over 500 in marble. Also we carry all the top quartz brands in the market today. Silestone, cambria, caesarstone, hanstone, lg viatera, zodiaq, okite, compac, quantra, santa margharita, q quartz, pental quartz, radiaz quartz and more. Visit our showroom and you can see all those quartz brands under one roof! We are specilized in kitchen, bathroom countertops, bar tops, outsite BBQs, jacuzzies, fireplaces, shower walls and saddles.Our Collection Granite, Marble, Quartz, Gemstones ( prexious Stones ), Glass, Icestone, Onyx, Limestone, Travertine and much more. Innovate stones is a family owned business. We can get over 1000 colors in granite and over 500 in marble. Also we carry all the top quartz brands in the market today. Silestone, cambria, caesarstone, hanstone, lg viatera, zodiaq, okite, compac, quantra, santa margharita, q quartz, pental quartz, radiaz quartz and more. Visit our showroom and you can see all those quartz brands under one roof! We are specilized in kitchen, bathroom countertops, bar tops, outsite BBQs, jacuzzies, fireplaces, shower walls and saddles.Our Collection Granite, Marble, Quartz, Gemstones ( prexious Stones ), Glass, Icestone, Onyx, Limestone, Travertine and much more. Innovate stones is a family owned business. 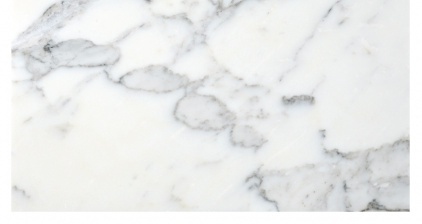 We can get over 1000 colors in granite and over 500 in marble. Also we carry all the top quartz brands in the market today. Silestone, cambria, caesarstone, hanstone, lg viatera, zodiaq, okite, compac, quantra, santa margharita, q quartz, pental quartz, radiaz quartz and more. Visit our showroom and you can see all those quartz brands under one roof! We are specilized in kitchen, bathroom countertops, bar tops, outsite BBQs, jacuzzies, fireplaces, shower walls and saddles.Our Collection Granite, Marble, Quartz, Gemstones ( prexious Stones ), Glass, Icestone, Onyx, Limestone, Travertine and much more. Innovate stones is a family owned business. We can get over 1000 colors in granite and over 500 in marble. Also we carry all the top quartz brands in the market today. Silestone, cambria, caesarstone, hanstone, lg viatera, zodiaq, okite, compac, quantra, santa margharita, q quartz, pental quartz, radiaz quartz and more. Visit our showroom and you can see all those quartz brands under one roof! We are specilized in kitchen, bathroom countertops, bar tops, outsite BBQs, jacuzzies, fireplaces, shower walls and saddles.Our Collection Granite, Marble, Quartz, Gemstones ( prexious Stones ), Glass, Icestone, Onyx, Limestone, Travertine and much more. Innovate stones is a family owned business. We can get over 1000 colors in granite and over 500 in marble. Also we carry all the top quartz brands in the market today. Silestone, cambria, caesarstone, hanstone, lg viatera, zodiaq, okite, compac, quantra, santa margharita, q quartz, pental quartz, radiaz quartz and more. Visit our showroom and you can see all those quartz brands under one roof! We are specilized in kitchen, bathroom countertops, bar tops, outsite BBQs, jacuzzies, fireplaces, shower walls and saddles.Our Collection Granite, Marble, Quartz, Gemstones ( prexious Stones ), Glass, Icestone, Onyx, Limestone, Travertine and much more. Innovate stones is a family owned business. We can get over 1000 colors in granite and over 500 in marble. Also we carry all the top quartz brands in the market today. Silestone, cambria, caesarstone, hanstone, lg viatera, zodiaq, okite, compac, quantra, santa margharita, q quartz, pental quartz, radiaz quartz and more. Visit our showroom and you can see all those quartz brands under one roof! We are specilized in kitchen, bathroom countertops, bar tops, outsite BBQs, jacuzzies, fireplaces, shower walls and saddles.Our Collection Granite, Marble, Quartz, Gemstones ( prexious Stones ), Glass, Icestone, Onyx, Limestone, Travertine and much more. Innovate stones is a family owned business. We can get over 1000 colors in granite and over 500 in marble. Also we carry all the top quartz brands in the market today. Silestone, cambria, caesarstone, hanstone, lg viatera, zodiaq, okite, compac, quantra, santa margharita, q quartz, pental quartz, radiaz quartz and more. Visit our showroom and you can see all those quartz brands under one roof! We are specilized in kitchen, bathroom countertops, bar tops, outsite BBQs, jacuzzies, fireplaces, shower walls and saddles.Our Collection Granite, Marble, Quartz, Gemstones ( prexious Stones ), Glass, Icestone, Onyx, Limestone, Travertine and much more. Innovate stones is a family owned business. We can get over 1000 colors in granite and over 500 in marble. Also we carry all the top quartz brands in the market today. Silestone, cambria, caesarstone, hanstone, lg viatera, zodiaq, okite, compac, quantra, santa margharita, q quartz, pental quartz, radiaz quartz and more. Visit our showroom and you can see all those quartz brands under one roof! We are specilized in kitchen, bathroom countertops, bar tops, outsite BBQs, jacuzzies, fireplaces, shower walls and saddles.Our Collection Granite, Marble, Quartz, Gemstones ( prexious Stones ), Glass, Icestone, Onyx, Limestone, Travertine and much more. Innovate stones is a family owned business. We can get over 1000 colors in granite and over 500 in marble. Also we carry all the top quartz brands in the market today. Silestone, cambria, caesarstone, hanstone, lg viatera, zodiaq, okite, compac, quantra, santa margharita, q quartz, pental quartz, radiaz quartz and more. Visit our showroom and you can see all those quartz brands under one roof! We are specilized in kitchen, bathroom countertops, bar tops, outsite BBQs, jacuzzies, fireplaces, shower walls and saddles. 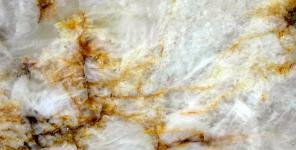 kitchen countertops materials nj. Our Collection Granite, Marble, Quartz, Gemstones ( prexious Stones ), Glass, Icestone, Onyx, Limestone, Travertine and much more. Innovate stones is a family owned business. We can get over 1000 colors in granite and over 500 in marble. Also we carry all the top quartz brands in the market today. Silestone, cambria, caesarstone, hanstone, lg viatera, zodiaq, okite, compac, quantra, santa margharita, q quartz, pental quartz, radiaz quartz and more. Visit our showroom and you can see all those quartz brands under one roof! We are specilized in kitchen, bathroom countertops, bar tops, outsite BBQs, jacuzzies, fireplaces, shower walls and saddles.